Hungary has introduced a new legislation aimed at severely limiting billionaire George Soros’ meddling with his home country’s immigration policy. The new “Stop Soros” laws are specifically targeting foreign NGOs and those receiving financial backing from foreign sponsors. 3. Activists and foreign nationals in support of mass illegal migration may face restraining orders that will require them to maintain a five mile distance from the border. This includes bans from Budapest’s international airport, and possible deportation of foreign nationals. UN representatives and diplomats will remain exempt. The legislation follows Hungary’s Prime Minister Viktor Orbán’s order for a probe into Soros’ Open Society network, in October 2017. The investigation mapped out the billionaire’s “empire” of networks targeting the country, something the PM described mid last year as a “mafia network” that needed to be countered. The Stop Soros laws will have “pseudo-civil groups managing illegal migration…scrutinised under a magnifying glass” says Orbán, further elaborating that no one involved with illegal immigration will be exempt. Although Orbán’s government has been vocal against the European Union’s rules on migrant quotas, Orbán insisted migrants who genuinely need protection will receive it from Hungary, but on a temporary basis only. He added that once they no longer require protection, laws will see them returned to their country, and that they will never become permanent residents. Despite Soros financing Orbán’s British education decades ago, and in 2010, donating $1 million to Orbán’s government for clean-up efforts of a local environmental disaster, Orbán’s friendly relationship with Soros has floundered. Orbán now views Soros as a propagandist seeking to undermine his nation’s values. In 2015, Soros proclaimed that it was the responsibility of the European Union to accept “at least a million asylum-seekers annually for the foreseeable future. And, to do that, it must share the burden fairly.” By late 2017, Orbán accused Soros of meddling in Hungary’s immigration policy and also the upcoming April 2018 elections through Soros-linked NGOs. Orbán accused Soros of funding the “new, mixed, Muslimized Europe” by pouring millions into liberal NGOs to influence the European Union into accepting asylum seekers. Soros, who has admitted in past interviews that he thinks himself as “some kind of god[ly]” economic reformer, has poured $18 billion into his Open Societies Foundation (OSF), to sway long term political agendas. With this amount of money used to “colour revolutions”, Orbán’s concerns are not unwarranted. 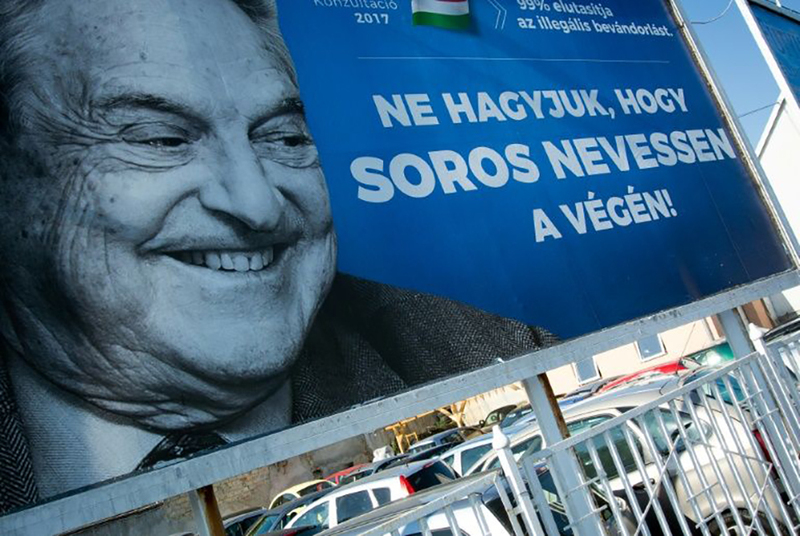 The loudest critics of the Stop Soros laws are two NGOs funded partially by OSF – Transparency International Hungary, and Hungarian Helsinki Committee. Recent protest of the laws led president of the OSF Chris Stone to announce his organisation has no plans to leave Hungary, further accusing Hungary of resorting back to its old Communist roots.